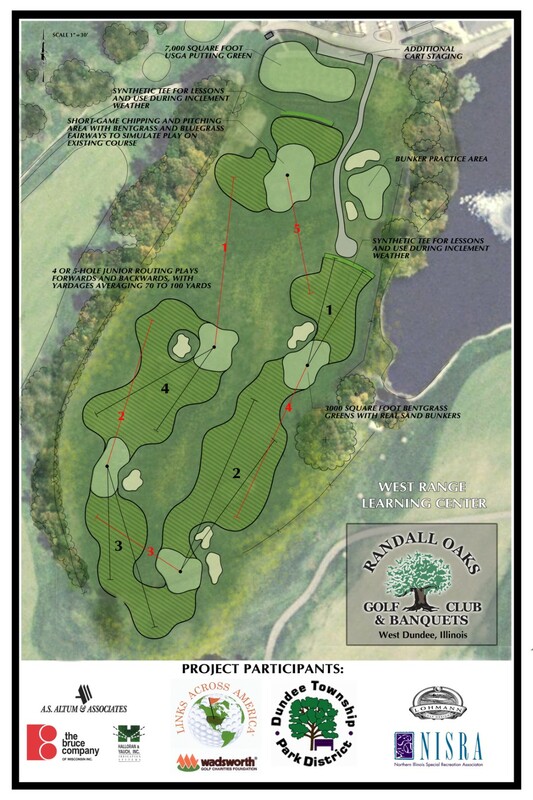 After rerouting the existing 18-hole golf course onto 55 acres of additional land, including a new practice facility, the former range area at Randall Oaks became available for mixed-use programming. 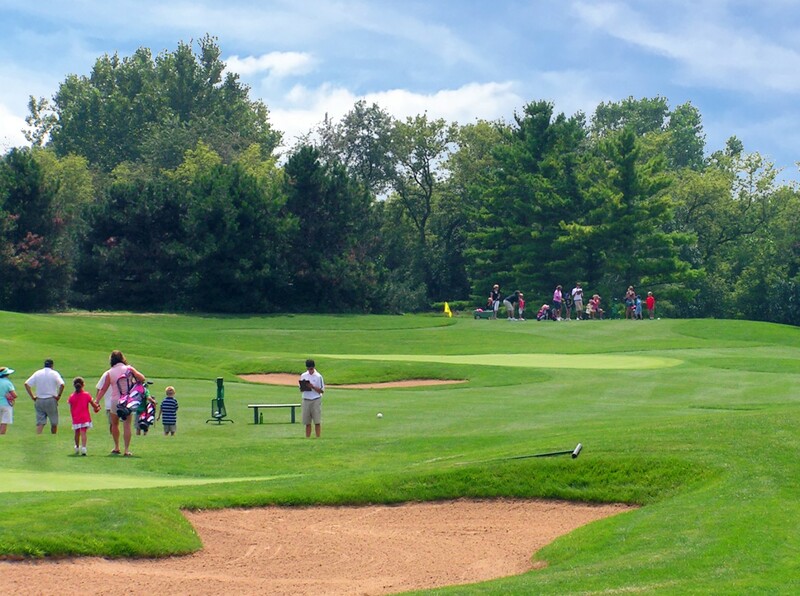 The Park District and Lohmann Quitno proposed plans for converting the 5-acre parcel into a 4-hole short course and learning center where beginner adult and youth golfers could learn the game in an unintimidating environment. 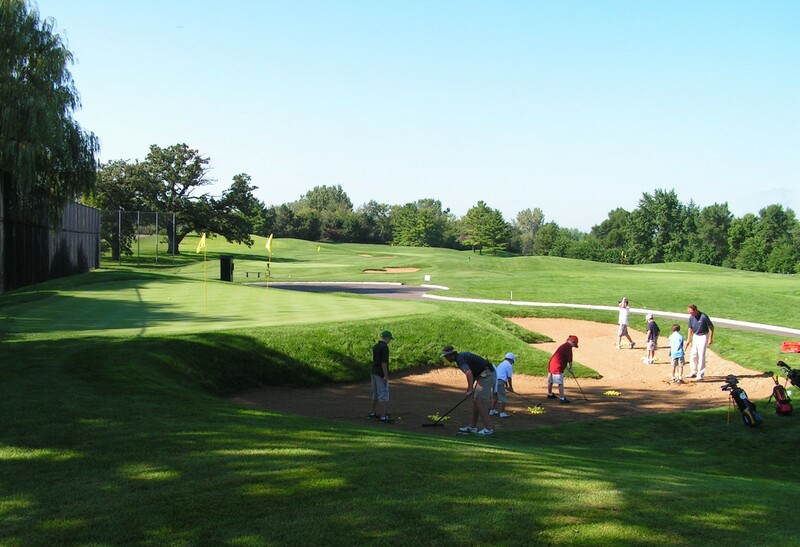 The course was also designed and built to provide a unique framework for physical and social rehabilitation programs, including wounded veterans and local boys and girls clubs. 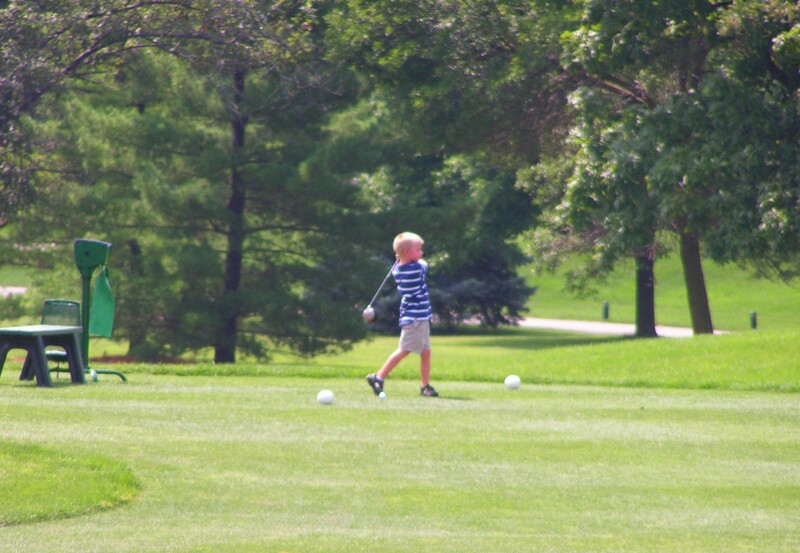 Routed to play both forward and backwards, the area provides extensive opportunities for creative play and short-game practice. 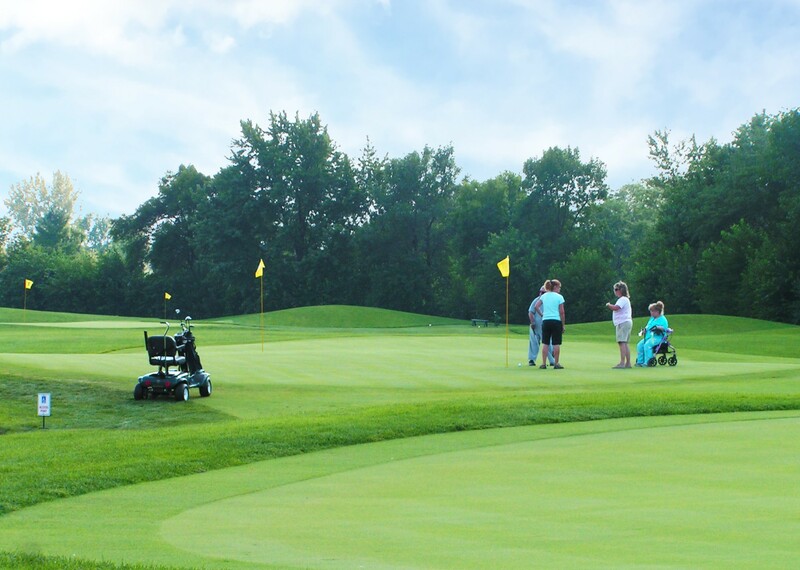 Along with the 3-hole Acorn Course, the Links Course also work as a “feeder” into the 18-hole course developing future users of the facility from within.